The new state policy related to cow protection and welfare provides for a 0.5 per cent additional levy on excise items to fund the construction and maintenance of cow shelters across the state. LUCKNOW: Amid the buzz over ‘Gua raksha’ (cow protection), the Uttar Pradesh government on Tuesday cleared a policy paving the way for implementation of a cow welfare cess or Gau Kalyan cess during a cabinet meeting here on Tuesday. The new state policy related to cow protection and welfare provides for a 0.5 per cent additional levy on excise items to fund the construction and maintenance of cow shelters across the state. Moreover, a cess of 0.5 per cent will also be levied on toll tax collected by government agencies, and on profits made by public sector enterprises and construction agencies like UP State Construction and Infrastructure Development Corporation Limited, UP State Bridge Corporation Ltd, UPSIDC etc for the purpose. The levy on mandi cess will also be increased from 1 per cent to 2 per cent to support the cow protection and welfare scheme. The 0.5% excise may impact price of alcohol in the state but the department will hold a meeting to decide the items on which the cess will be levied. This will help state government earn additional Rs 34 crore as cow welfare cess. Moreover, for temporary cow shelters, MP, MLA and MNREGA funds would a utilised. The local bodies would be expected to arrange funds as much as possible from their budget for nutrition and management of protected cows. The CM has allocated Rs 100 crore to local bodies for the purpose. The state government spokeman Shirkant Sharma said that the government departments would contribute to the construction of shelters to accommodate at least 1000 stray cattle in each district. 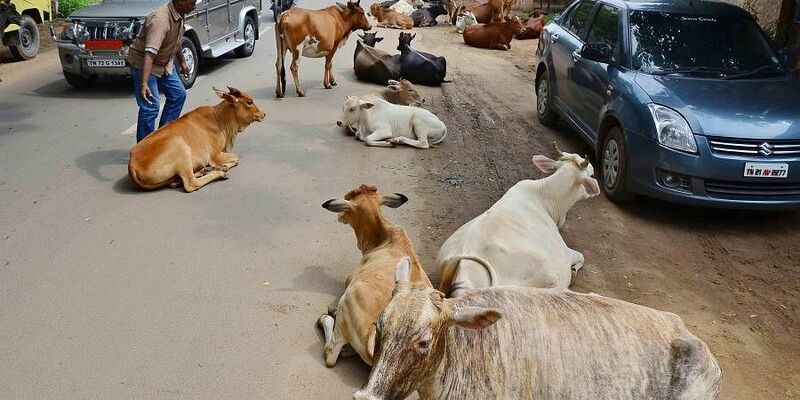 Those leaving their livestock go stray at public places and roads, would be penalised and a penalty would be imposed on such elements, said the government spokesman.